Albany's Leading Air Conditioning, Heating, & HVAC Company! 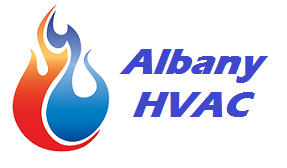 Albany HVAC is the top company for Air Conditioning, Heating, and HVAC in Albany, NY. As the cool weather fades and summer approaches, temperatures begin to rise and the need for cooling (and a working air conditioner) becomes ever more important. We know that hot, muggy weather is only a few months away, so right now is the opportunity to take a proactive step toward a comfortable home environment. Do you need our air conditioning repair service? Today is the day to take care of your cooling needs and fix that ductless air conditioner that hasn’t been working or the central air conditioning that is broke down. Albany HVAC’s expert technicians have been serving clients in Albany and the surrounding communities for more than 35 years. 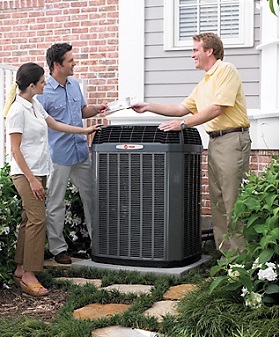 Our goal has always been to deliver the most professional, high quality hvac service around. We know how inconvenient it can be to have your AC break down during the hot summer months. Call our fast response team will be right over to evaluate the situation and fix the problem. Your satisfaction is our number one concern. For your convenience, we offer 24 hour emergency hvac service, 7 days a week, 365 days a year. We stand by our work with our 100% satisfaction guarantee. Call us today at 518-963-0366. ​Heating is another major service we offer. The proactive crowd books appointments for our heating services early, knowing that once September hits, phones are ringing off the hook and our team of skilled technicians are out on the job, fixing that old boiler, taking care of a furnace repair, or installing a new hot water tank in Albany and all around the Capital Region. Before we head over to handle your heating needs, don’t forget to ask about our heating oil prices. Albany HVAC proudly delivers the lowest home heating oil prices in the area. Do you require kerosene? No problem, we have that too. What about BioHeat? Yes, BioHeat is a cleaner, greener, alternative fuel that serves as a renewable resource and is a favorite among commercial clients, such as construction companies and the New York State Department of Transportation. There’s nothing like saving the planet during your day job! We know the oil price today is on your mind because of all the fluctuation and negative news about the economy, so allow us to put you at ease. Fuel oil prices will improve, it’s just a matter of time. Call now for great deals on heating and oil! ​Professional & Reliable - Our air conditioning and heating experts are licensed, EPA certified, and factory trained on the latest in heating, cooling, and hvac technology. With over 100,000 hours of hvac service across all makes and models of air conditioning and heating equipment, you can be certain we'll get the job done right. Trusted Service – Our core values are rooted in honesty and integrity. We are transparent in our communication and lay out all available options so you can make educated decisions on what is best for you. Customized Approach - There is no one size fits all solution when it comes to heating and cooling. Our focus has always been providing a comprehensive, affordable solution tailored to match our clients’ needs. We’re not happy unless you are. From a simple hvac repair to a complex hvac retrofit, you can expect expert analysis, a list of options, and professional installation on budget and on time. Quality Matters – At Albany HVAC, we take pride in our work and offer the best air conditioning and heating products on the market, maximizing your energy efficiency and cost savings. Many times, the smallest details make the biggest difference over the life of your purchase. When you go with the best, you are never disappointed. ​From heat pump installation to boiler installation and everything in between, Albany hvac service has your back. Having strong relationships in place with leading heating manufacturers gives us the opportunity to provide top quality Energy Star rated products from the name brands you know and trust. 24 hour heating emergency services are available in Albany and the greater Capital Region for those times when the heater breaks down and needs to be fixed fast. Give us a call as soon as it occurs. You should expect a great response time, and we will deliver on that promise. When cold weather strikes, heating repairs and maintenance calls skyrocket. Our furnace repair service is especially popular. Much like with AC units, if a heater or furnace has been around for a long time, chances are it is not running as efficiently as it could be, which is going undetected and could be costing you thousands of dollars a year extra in energy bills. Let us know your concerns and we'll happily inspect the heating system for you and suggest anything you might be able to do. If there's nothing to worry about, we'll tell you that too. Air Conditioner Installation is needed to sustain the ideal air quality and temperature in your household, as well as prevent air borne allergens and toxins from reaching your family. Our team of EPA certified technicians have years of experience with AC installation and can help you choose from the overwhelming number of AC units on the market today. Air Conditioner Emergency Services are offered 24 hours a day for your convenience. Don’t stress out over an AC repair, just take a deep breath, relax, and call the pros. We will send over our team of experts to fix the issues right away so you can get back to your day. Maintenance and repair for air conditioners is crucial to maintaining a comfortable home environment. Many Albany residents have cooling systems from years and years ago. As time goes on, AC units break down and become less efficient, which means an increase in your electric bill. Avoid costly repairs and call Albany hvac the moment you notice something that doesn’t seem to be working right. Don’t delay, call today. Your pockets will thank you. ​We offer 24 hour emergency hvac repair in Albany, NY and the surrounding areas of the Capital Region. When an emergency call comes in to repair a furnace, an air conditioner, or a heater that is not working, you can be sure that our professional heating and cooling repair team will get to your location as quickly as possible to resolve the situation; we know that your health and safety are at stake when hvac units break down and we offer the best in class response time to account for that. From residential to commercial to industrial, our air conditioning repair team will fix the problem in a timely manner. Call us and see the difference our service brings to US air conditioning and heating. 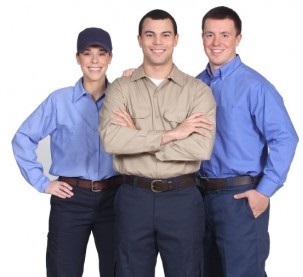 ​Our hvac Albany NY company has been the trusted name in heating and cooling for the better part of four decades. While there are many options to choose from, we truly believe that Albany HVAC is the best heating and cooling repair company in the area. Whether we're repairing your central air conditioner, servicing hot water tanks, utilizing our furnace repair service, or doing an AC installation, we guarantee superior service at the best price. The quality we deliver will impress you; just see the reviews from our latest clients. ​The best heating and cooling Albany has to offer.